The Wintegration Program is part of NEAT (Newcomers Explore and Appreciate Toronto) Mentorship Program. It offers welcoming and accessible opportunities for newcomers of all ages to participate in outdoor winter activities and to start developing a healthy habit of staying active year around from the onset of their settlement process. 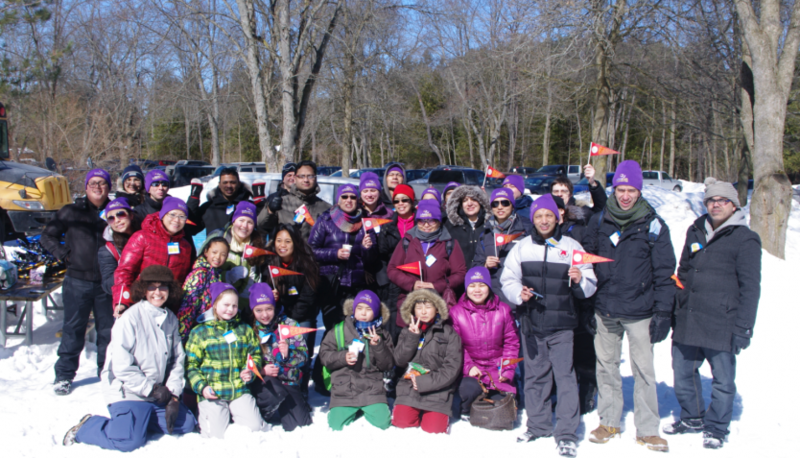 During the winter months, Wintegration provides newcomers with a variety of free trips and events (weather and budget permitting) such as skating, tobogganing, walking/ hiking, making snow creations and much more. Planned and organized by volunteer mentors and newcomer peer volunteers, these activities generally run from December to mid-April (weather permitting) and engage hundreds of newcomers and their families into fun, safe and heartwarming winter activities. learn and/or improve the skill in skating, sledging, etc. This year, we will also be starting indoor game nights, trip to ROM, AGO and Ontario Science Centre (depending on availability of the tickets). We try to offer FREE activities but some cost money. Due to lack of funds, we ask the participants to share the cost where possible to allow trips that cost money, such as trip to the Toronto Islands, Maple Syrup Festival, etc.